Deliciously Savvy & My Silly Little Gang! 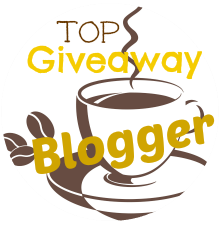 PLUS a Shout Out To All Other Blogs Helping To Promote! Thank You! 2 Prize Packs worth $160!!! This giveaway will end at 12:00 AM (EST) on 4/25/15! Deliciously Savvy did not receive any form of compensation for this giveaway. Once winner is selected via the Rafflecopter process, the product will be shipped. Winner has 48 hours to respond or another winner will be chosen. No other blog associated with this giveaway is responsible for the product shipment. The Various Sponsors Above will be providing the prize to the winners. Thank You for stopping by! Any Questions or Concerns email me at mcushing7 (at) hotmail (dot) com. I'm excited about the Clean Spin 360 mop. I would love to give this mop a try and see if it is as good as looks. I have been wanting one for awhile now. I always read about the sanitizing wand. Would love to give one a try. It sounds like such a great solution for the kitchen or bath.. actually, anywhere! I am most excited to win the clean spin mop. I have purchased every gadget out there to try and make cleaning the kitchen floor simple, quick and efficient. I will say that I love the bucket and the concept of being able to spin the mop out so easily. I have arthritis in my hands and it would be great if I didn't have to wring out the mop. I'm most excited to win the Clean Spin 360 Mop because it would be great to use on my kitchen tile floor. I'm excited about the Clean Spin 360 mop. I especially like the idea of winning the Clean Spin Mop--both because it sounds like one that is very easy to use, and because my grandson has seen the ad on TV and says I need one! The Clean Spin 360 Mop. I wash floors a lot and it looks really helpful. I am most excited to try the CleanWave® Portable Sanitizing Wand because I don't like using so many chemicals. I'm most excited to win the Clean Spin 360 Mop because I just bought a new house and I think this would be perfect for my kitchen and bathroom floors! I'm most excited about the Clean Spin 360 Mop because I have seen it and bet it works awesome! I am most excited about winning the Clean Spin 360 Mop. I have tile throughout my house, cleaning it is a major job. I think the spin mop would make that job a bit easier. :-) Thank you for an amazing giveaway! I'm most excited to try the CleanWave® Portable Sanitizing Wand. I've been reading a lot about the science behind it. I'm most excited about the sanitizing wand. I really need that with a toddler that is going to start potty training. I'm sure my bathroom won't be as sanitary as I would like. I most want to try the CleanWave® Portable Sanitizing Wand from Verilux! It sounds amazing! Thank You for the giveaway… would love to have the CleanWave Portable Sanitizing Wand / Verilux to bring along on business trips.